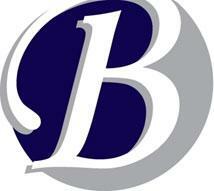 Burnside Law Firm is a plaintiff’s personal injury firm. We represent individuals throughout the state of Georgia who have been injured by the negligent acts of others. With offices in Augusta and Athens and over thirty years of collective experience in personal injury law, the attorneys at Burnside Law Firm stand ready to assist you. Many of our clients have suffered serious personal injuries as a result of automobile or truck wrecks, medical malpractice or work related accidents. They face health care and insurance situations they simply are not equipped to handle either legally or financially. Furthermore, catastrophic injuries such as these create needs, and whether it is a wheelchair, rehabilitation or attendant care, needs cost money. Usually health insurance, government benefits and personal savings are simply not enough to provide the basic needs, much less the best care possible. Therefore, one source of funding which cannot be overlooked is a claim against the person or business responsible for causing your injury. The attorneys at Burnside Law Firm help people with catastrophic injuries navigate the legal system and recover money from the responsible party. Over the years, our attorneys have recovered millions of dollars for deserving clients. Money that has enabled those clients to meet needs, pay bills, obtain medical care and begin to put their lives back together. Our goal is simple: to help injured people pursue legal claims against those responsible and to recover full and complete compensation for all of the losses they have suffered. We offer free initial consultations. Contact a personal injury attorney at Burnside Law Firm by phone or email today. We look forward to serving you. SECO Parts and Equipment Co.
Every year, as the roads in Georgia become more congested, more people are involved in serious car accidents. People trust medical professionals with their lives every day, expecting to receive reasonably good medical care. When people are hurt on the job and facing a workers' compensation claim, usually their first two questions are, "Do I need to hire a lawyer?" and "If so, how much will it cost me?" Catastrophic injuries create needs, and whether it's a wheelchair, prosthesis, rehabilitation or attendant care, needs money. While an IV is a convenient way to administer medications, infiltration (the inadvertent infusion of medication into the surrounding tissue) can occur.